Oh, what a terrible fate it is to be a spider, fly, or cockroach. 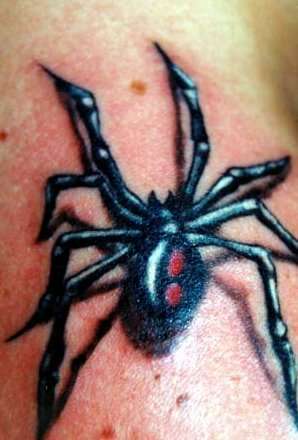 We honor them in cartoons, toys and art, or use them to inspire an entire fashion collection yet our first reaction is to kill, kill, kill whenever we see a hint of scuttling or flying around us. We never think of the cool pesty creations they have inspired. For those freaked by insects and bugs, this cluster is dedicated to all the silly, offbeat and interesting pesty creations and insectovations that have been made for society to enjoy. 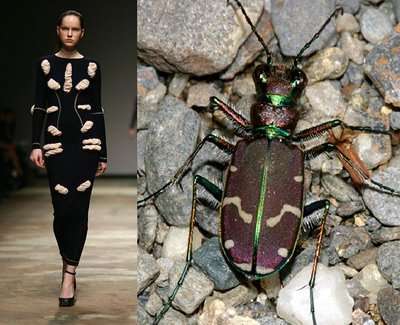 Just think, without insects and bugs, we would never have grasshopper couture, insect-inspired cars, or edible insect gifts! Remote Controlled Beatles Are Part Living, Part Robot.